Google’s expanded text ads, introduced earlier in July. These expanded text ads are 50% larger than standard text ads. Initially, there was a deadline of October 26 where standard text ads could no longer be used. Google is extending the deadline to January 31, 2017, to make sure everyone has time to learn the ins and outs. 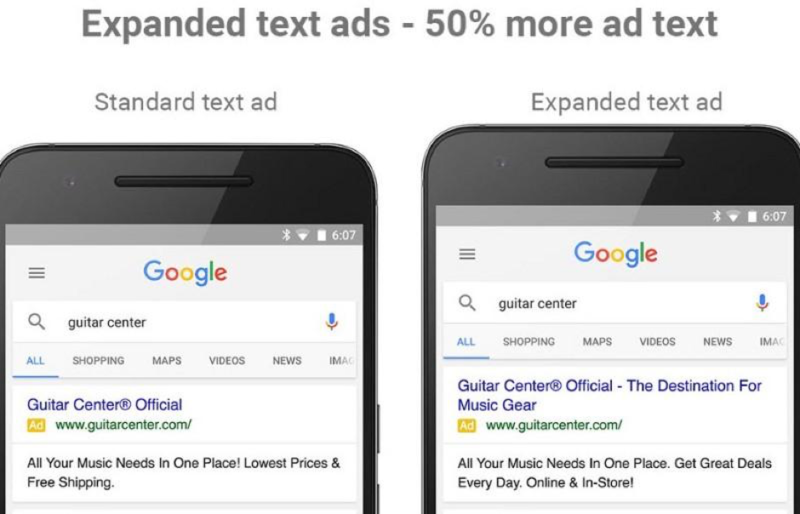 Expended text ads can provide more information about advertisers’ business right in search ad. Many advertisers have seen great results with the new, longer ad format, some advertisers still learning how to use it successfully. You will no longer be able to create or edit standard text ads, after January 31, 2017. Advertisers will only be able to create and edit text ads using the expended text ads format.